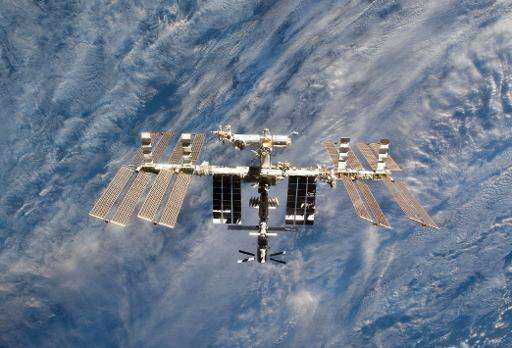 Three astronauts living at the International Space Station were forced to scramble to safety after what NASA described as a "close pass" by flying Russian space debris on Thursday. The men decamped into the Soyuz spacecraft, which is attached to the orbiting station, while the chunk of an old Russian weather satellite sped by at 8:01 am (1201 GMT), the US space agency said. "The crew of the International Space Station is resuming normal operations after getting an all clear from Mission Control following a close pass by space debris this morning," NASA said in a statement. "All station systems are operating normally and the crew will move out of the Soyuz spacecraft in which they stayed during the debris pass." The crew on board includes Russian cosmonauts Gennady Padalka and Mikhail Kornienko and American astronaut Scott Kelly. Kelly was notified by NASA of the fast-approaching space junk at 1029 GMT, about an hour and a half before the debris' closest approach. "The data on the possible close pass was received too late and was not sufficiently precise enough for the station to take any evasive maneuver," NASA spokesman James Hartsfield told AFP in an email. "In those cases, the crew can be called to put the station in a safe configuration and move to the Soyuz until the debris has passed." He added that there had been no impact to the ISS and all systems were operating as normal. Another NASA spokesman said on the agency's live television broadcast that the shelter-in-place maneuver was something that the crew regularly trains for and likened it to a fire drill. NASA said it was the fourth time in the 15-year history of the space station that astronauts moved briefly into a Soyuz to avoid passing debris. The Soyuz is the capsule that transports astronauts to and from the space station. Earlier, the Russian Interfax news agency quoted a source in the space industry as saying the space junk was a fragment of the Soviet meteorological satellite, Meteor-2, which was launched from Plesetsk cosmodrome in 1979.